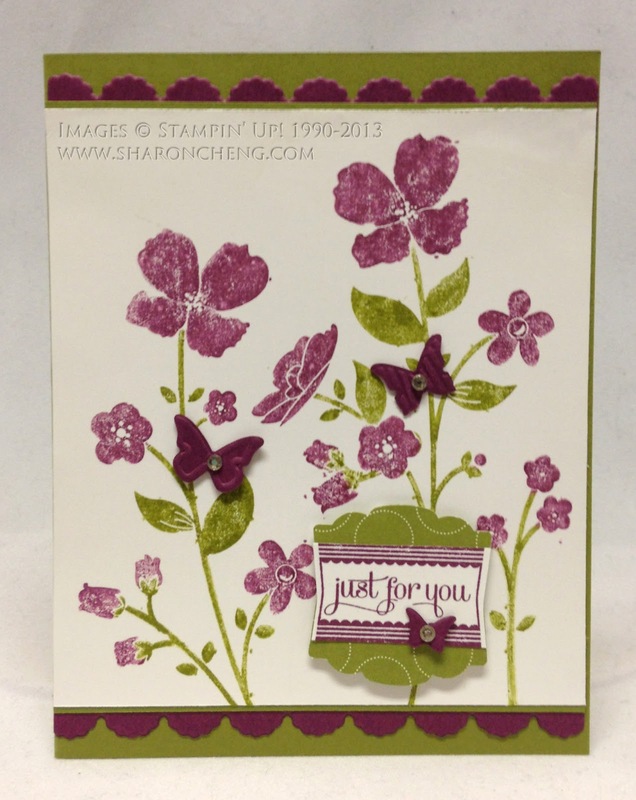 This card uses items from Stampin' Up! 's new catalog including two new stamp sets, Wildflower Meadow and Label Love, and the Artisan Label punch. I colored the Wildflower Meadow stamp with Stampin' Write Markers in Rich Razzleberry and Old Olive. Each marker has both a brush tip and fine tip. The brush tip makes it easier to color the rubber stamp. I then lightly spritzed the stamp with water and stamped on Whisper White card stock. 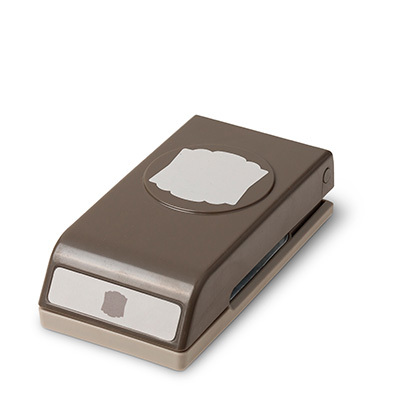 The Artisan Label punch coordinates with the Label Love stamp set. I used both to make the sentiment. This card is for my friend, Gail Peterson, who passed away unexpectedly this week. Gail loved many things including God, family, friends and crafting. 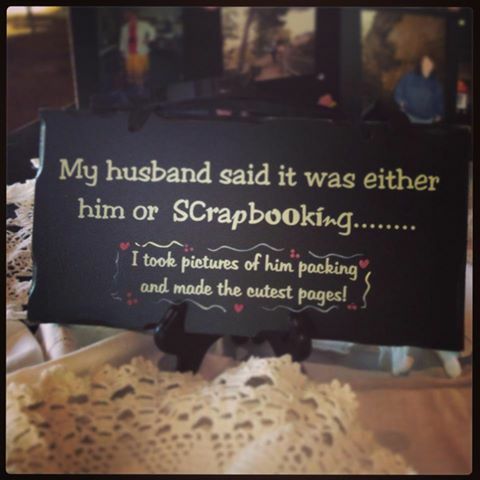 They had several of the scrapbooks she had made along with this sign displayed at the church. At her memorial service, many people mentioned how special it felt to receive her handmade gifts and cards. It was a good reminder of how handmade gifts and cards can make a difference.